There’s nothing more liberating than twisting and turning as you launch yourself high into the air while the snow glistens beneath you and beckons for that perfect landing. Or so we’ve heard. It’s with major snow envy that we’ve been watching the Sochi 2014 Winter Olympics Games during an Australian summer here at Vuly HQ, but we’re all enthusiastically cheering on our favourite athletes… while wishing our sporting talents were even a quarter of theirs. You’re probably wondering what the Winter Olympics could possibly have to do with trampolining. I mean, it’s a summer sport, right? 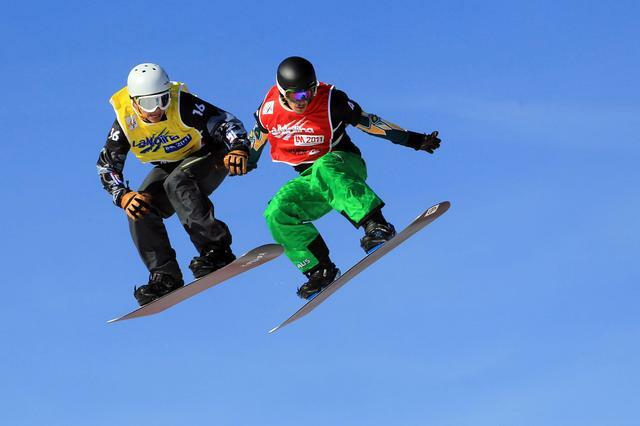 Well, the last four years have seen winter athletes from all over the globe perfect their skills in various locations, as they chase the snow – and make the best of warmer conditions in training facilities designed just for them. Though trampolining is a sport only at the Summer Olympics, so many of the outdoor sports on offer at the Winter Games benefit from trampoline training, and you can get started at home without any snow in sight! Trampolines are great for improving balance, conditioning and movement, which we already knew. That’s why we love them so much! But, for those of us seeking a greater challenge and dreaming of winning glory on snow covered slopes one day, a snowboard on a trampoline is the ultimate training. We have just the thing – the Vuly Deck. 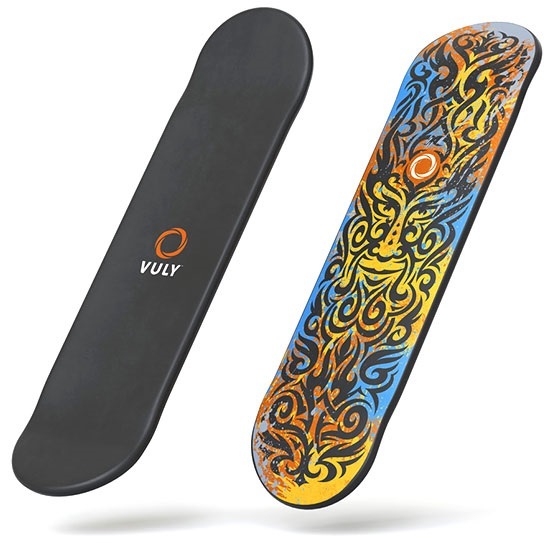 Crafted from lightweight plywood and covered in a soft layer of high-quality EVA foam, the Vuly Deck is a safer way to learn new skate, snowboard, or wakeboard tricks. The resistance provided by the board increases your heart rate, gets you used to the feel and motion of having a board underneath your feet, and gives you the benefits of fantastic coordination and balance. Snow is much harder than it looks. While it may seem like fluffy white clouds of goodness on a bed of cotton wool balls, the reality is quite different. Especially if it’s been transformed into a professional snowboard run. Getting those major falls out of the way while on your trampoline is MUCH safer, hurts less, and there’s probably less people watching. Trampoline training is the best place to practice in an environment you’re familiar with. Those flips you see Torah Bright doing aren’t the result of blind luck. Her sense of self while hurtling through the air, metres above the ground is impeccable. You can gain this understanding of how your body moves through the air by practising with your Vuly Deck; before you know it, you’ll be able to gauge your speed and lift like a pro. Consistent practice on your Vuly Deck will quickly improve your sense of balance, as you learn to spin and transfer your weight to different areas of both the board and the trampoline. Landing jumps will become second nature, because you’ll get full control of your body’s movement. Here at Vuly we admire the grace, speed and determination of our Olympics champions, and while trampolining is a Summer Olympics sport, we’re more than happy to get behind winter sports and the incredible athletes who conquer the slopes with such determination. We look forward to seeing you out on the slopes soon!